All About Garbage Disposals- History and Working Garbage disposal units have evolved to be an excellent option to dispose kitchen wastes effectively. In fact, a reliable disposing unit has the ability to clean all the wastes that accumulate in the kitchen without affecting the plumbing system in any way. 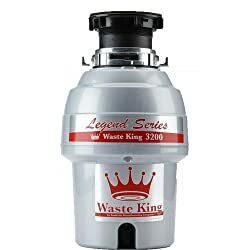 Considering the increasing popularity of the units, there are many reputable brands that have made their way to the market, featuring some of the finest models with advance technology, innovative functionality and one of a kind working modules, yes, finding the best garbage disposal is no longer an easy job. It all began in the year 1927 when architect John W. Hammes was working for Racine, Wisconsin. It is believed that John's wife was facing complications while managing kitchen wastes and in order to help her, he came up with an unique design of disposer system. This design was soon applied in 1933 and was issued as the patent design of John's company. The foundation of one of the most prestigious garbage disposer brands- InSinkErator was laid by the man himself in 1940. However, there are several facts associated with the inception of disposers, one of them being: General Electric stated that it was the first company to have come up with the idea of garbage disposers in 1935, while the units that were crafted by John were initially known as "electric pigs", but later the product was renamed as "food waste disposal units" and this term prevails till date. During the initial years, the company came up with 52 units. The demand of disposers at that point of time was relatively less and people where apprehensive about the results that would deliver. The general acceptance of these units occurred right after the World War II, but by then James was already competing against some of the finest names of the industry. Even though the competition was tough, but James commitment towards quality clearly made the difference. Soon, a renowned company Emerson Electric Co purchased InSinkErator and ever since then they have been marketing the units as their own. Other popular brands such as Waste King, KitchenAid, General Electric and more have remained to be a popular choice of the US households. Irrespective of the competition and presence of brands, US homeowners were now switching to an effective disposal method and all of this could only happen due to the high performing garbage disposer units. How Does A Garbage Disposer Unit Work? As stated earlier, the patent design of the system was created by John to overcome the day-to-day complications of disposing kitchen wastes. This was a basic design that included a chamber, grinding components and pipes that connected the system with the drainpipes. The chamber is where the grinding parts were fixed to shred out the leftover scrapes, peels and other organic wastes into fine pieces that would easily pass through the pipes. Today, certain changes have been brought into the system so as to enhance its power and efficacy. Some companies embed high-performing motor that maintains the performance of the system, allowing you to dispose a large volume of waste in no time. Besides that, the insulation within the chambers have been improved as well and this leads to silent grinding with little or no noise. Further, the system are crafted from premium materials that not only aid in the durability of the system, but yet again play a vital role in their effectiveness too. The electric motor usually has a high torque of 250-750 hp based on the product that you choose. This tends to spin the circular table that is situated above it. The induction motor rotates respective to the power with a speed of 1500-1800 rpms and generally have a high beginning torque. Then comes the grinding chamber that is equipped with a metal turntable onto which the food wastes are thrown. The metal impellers that are present at the top of the table tend to fill the waste against the grinding component. The grooves that are seen in the grinding rings break down large wastes into smaller versions so that they are able to pass through the opening of the disposer and then are finally flushed down into the drain. To prevent the food from gushing back, a rubber closure is placed right out of the chamber and the same even helps in quieter and smooth operations. This is because rubber acts as a form of shock absorber and this attenuates noise. The continuous feed garbage disposals are more commonly seen in the households as they are able to handle wastes continuously after switching them on. While, for batch feed disposer the user has to fill the unit first and then begin the operation after placing the cover. It should be noted that since the opening of these disposers are covered, their operation is quieter than continuous feed disposers. In order to allow water to flow across, the batch feed disposers have slits in their cover and this even prevents any foreign particles from getting into the system. No matter which system you go with, proper maintenance and care is absolutely necessary. This keeps the unit the way it is and preserves its performance for a long period of time. Some of the methods that are used for this include keeping the chamber away from hard objects that might alter the quality of grinding components, using a mixture of vinegar and baking soda to remove accumulated debris and leftovers, and turning the water on for about five seconds after the disposing is done. Garbage disposer have indeed transformed the way people get rid of kitchen wastes from their home. Because at the end of the day, it is a greener and safer way to deal with the daily food wastes.